Nice to see you, Phil !!! Waiting for review would !!! Look forward to seeing the review. Welcome back! Excited to see the review of this camera. I’d be interested in your observations on rolling shutter artefacts. I’ve been using the HC-1000 for about a year and have to be very careful to try to avoid issues similar to those shown in youtube video http://www.youtube.com/watch?v=6clbmcx25ms at (for example) 1:48 that seem to be caused by a combination of rolling shutter and the relatively light mass of the X1000. Other than this issue the X1000 is pretty well the ideal camera for my work so I’m hopeful that X1 or 180 will have resolved this issue. Good to see you doing hands on reviews again Philip. I’ve been watching these new Panny’s develop and given the 1″ sensor, this looks like a good half-way house between the Lumix FZ-1000 (or new FZ-2000) and the Panasonic DVX-200. Nice to see that. I am interested in low light and noise level. Also heard that the 180 model had different processing that 90 and X1. Hi Phil, nice to see you feel better and that you are “still” interested in cameras!!! UHD 4:2:0 8-bit does NOT become 10-bit after a factor 2 downscale in post to FHD!!! It is even wrong for the Y-luminance component but totally wrong for the U/V-components since this information is only available once for a 2×2 pixel block, so nothing to “average” from 8-bit to 10-bit here!! It is right that colorsubsamling increases in theory, 4:2:0 by factor 2 downsampling becomes 4:4:4 since every pixel downscaled by factor 2 horizontal AND vertical from the source matrix gets it´s own color information. In practise this is even not completely true for a native sampling sensor based on the bayermatrix (like the X1). Beside that nice review and nice camera, had hoped it also had an oversampling sensor like the “old” PXW-X70! May be we gain 1-stop in ISO with the X1 instead of better resolution. Not quite true Roland. Barry is correct if the whole image is interpolated to 1920×1080. 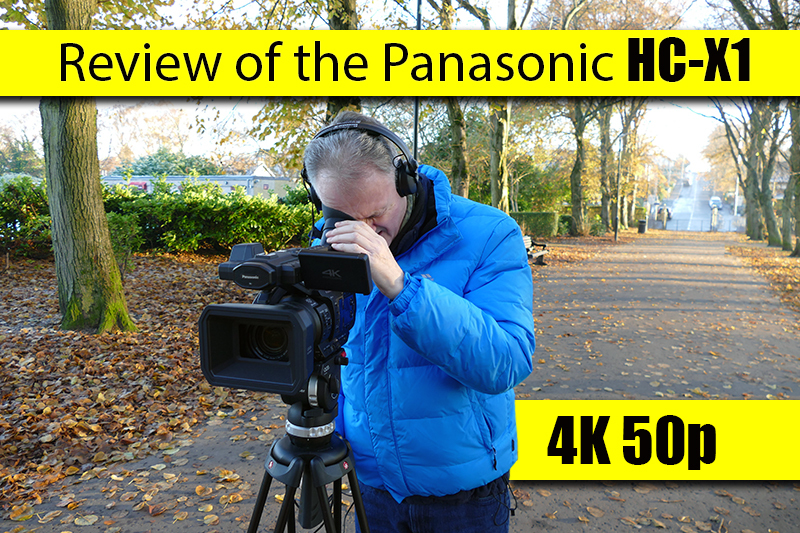 Please look at his detailed explanation http://pro-av.panasonic.net/en/dvx4k/pdf/ag-dvx200_tech_brief_vol1_en.pdf. It will only work if there is no cropping into the image as in this case the available pixels to interpolate are less and can of course go all the way into a 1920×1080 4:2:0 image. How this interpolation is done will also be important of course. But for a full image Barry is correct. Shoot in UHD for the future and get a benefit at 1920×1080 now. 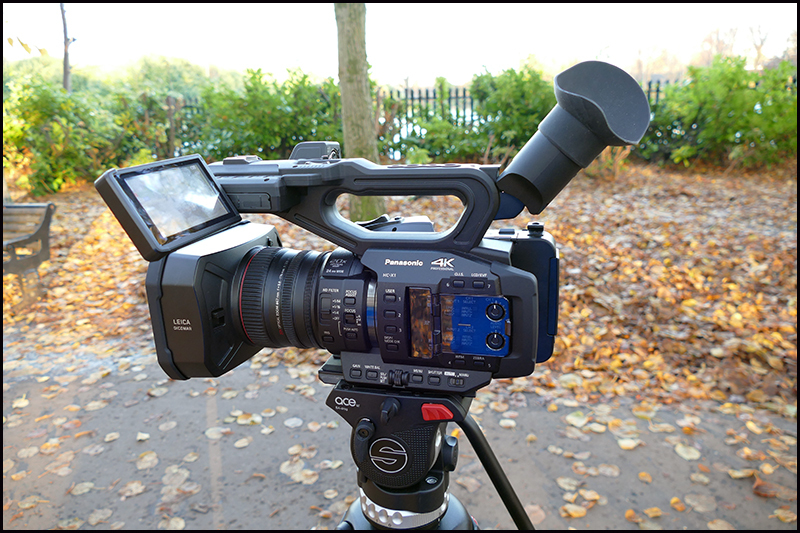 I am really looking forward to your review as I think this may be the camera to replace my NX5U and my FDR-AX1. Hi Ron, seems the world is small ;-)! No, Barry is definitely wrong, also shame on Panasonic to publish this nonsense! It’s very simple: UHD 4:2:0 8-bit has 8-bit samples for Y,U and V data. In UHD 4:2:0 every 2×2 pixel block has one common 8-bit color information. If you downscale to FHD by factor 2 you get 1 resulting luminance information from the 2×2 pixel block and you keep the single U and V information for the new single pixel, nothing to interpolate for the color information, it stays the same 8-bit information as before, no change, no 10-bit!! Even the theory about increasing bit depth in the luminance signal is only based on chance. If you have homogenous areas nothing changes in downscale, everything else is just averaging, no true 10-bit luma, has nothing to do with a real 10-bit camera!! I had this discussion with Barry on DVINFO or somewhere else, it became quite silent after presenting my charts that refuted his statement. …but as I said, simplest way to refute this idea is looking at the color information, from 2×2 pixels to one resulting pixel, no dynamic change, no change to color information at all, no 8 to 10 bit!! Roland. I did say in my response that it was only in a special case of full frame and depends on the interpolation method too. I still believe that but do not disagree with your explanation either. Colour information is definitely improved and I do not think even Barry was talking about 10 bit for colour. I read the information to be for luminance anyway not colour. Suffice it to say shooting UHD and downscaling does give a much better image. I can confirm that with my UHD cameras. Ron, downscaling is one thing, I´d say in most cases it improves the visual sharpness and resolution when you must deliver in a lower resolution as it was recorded. There may be downsides like aliasing in some circumstances. In practise it would always be better if you could deliver the original resolution since you are “loosing” color information by downscale. Your result by a factor 2 downscale would be 4:4:4 colorsubsampling since every pixel would get it´s own color information. In real life hardly any NLE can work or even output 4:4:4, most only do 4:2:2 as most media is even limited to 4:2:0. By the way, hardly any bayer pattern operated camera does real 4:2:0 anyway. Full pixel read out AND oversampling cameras like Sony PXW-X70, a6300/6500 (all theses only using UHD, FHD is lineskipped) or some RED 6K and up may come close to real 4:2:0 or better. Nearly only 3 chip cameras could produce real 4:4:4. By downscaling bit depth for luminance may only be improved in very limited situations and only by chance. Color bit depth isn´t touched anyway. If I am talking about 10-bit “video” I mean 10-bit video, not only luminance. Seeing HDR in some future but not yet, 10-bit is only useful for grading. But there color information is also very important. Roland, my only interest in UHD is to downscale to 1920×1080 which is what I do with my FDR-AX1. This gives me the opportunity to reframe and pan the scene and works very well for my needs. Full frame downscale is very good and I will likely replace with better cameras like a HC-X1 and GH5 in the coming year to do exactly the same. Aim is to create a multicam shoot ( in editing ) without standing up for 2 hours as I get older !!! By default I will also get a typical full stage archive UHD video.